This 3M full face respirator kit is the simple, one stop solution to help provide respiratory protection during most mold remediation activities such as vacuuming, sanding, removal and disposal. 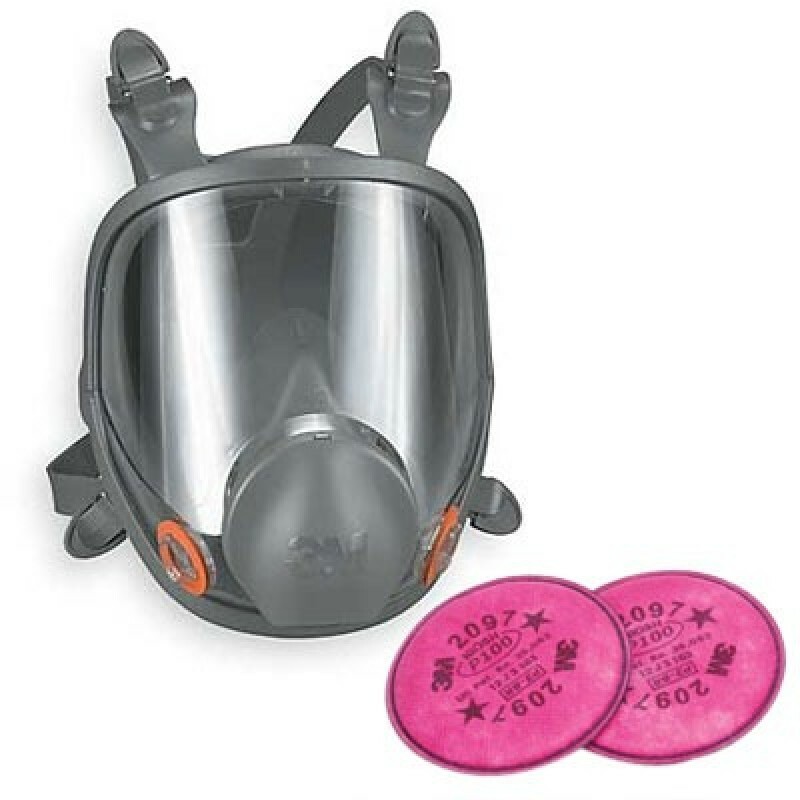 The 3M full face 6000 Series respirator helps protect against eye-irritating mold. Provides a wide field of vision for enhanced safety. Meets EPA guidelines for mold remediation jobs of all sizes. The 2097, P100 filter has a carbon layer that adds nuisance-level protection from odors (VOC) associated with mold. Please note that the EPA does not allow half facepiece respirators for remediation of areas greater than 100 square feet and requires non-vented eye protection for all job sizes.